This Wednesday, the Joint Investigation Team (JIT), which was set up by the Netherlands, Belgium, Ukraine, Australia, and Malaysia to look into the causes of the downing of flight MH17 in July 2014, published the conclusions of their investigation. According to the JIT, the BUK missile that shot down the plane came from Russia to the territory controlled by Russia-backed "separatists" in the East of Ukraine, and after downing the Boeing, the BUK system returned to Russia. The press conference confirmed previous reports by investigative journalists, above all by the group Bellingcat, who recently published a report summarizing their two-year long investigation based on open source evidence. 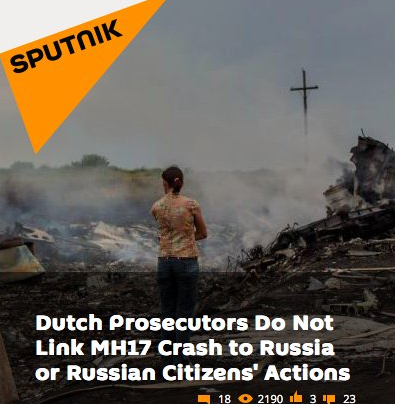 Pro-Kremlin media all over the world have deployed a well-known disinformation tactic in the case of MH17: pushing as many different versions of the story as possible to pollute the information space and make the objective facts seem unrecognizable and subject to different "points of view" (similar tactics were used after the assassination of Boris Nemtsov, or during a recent attack on a humanitarian convoy in Syria). - 17.07.2014. TV channel Lifenews TV reports that pro-Kremlin separatists shot down a Ukrainian Air Force plane An-26, showing video from the scene of the disaster (this video was later deleted). - 17.07.2014. Igor Strelkov-Girkin, leader of the "separatists", published a similar post on VKontakte (this post was also later deleted). He comments: "We have warned them not to fly in our sky." - 17.07.2014. TV channel Rossiya and their site vesti.ru reports that Ukrainian fighter jets were operating in the area around the crash. This is "confirmed" by a Spanish air controller working for Ukraine named Carlos – his testimony is later revealed as fake. - 17.07.2014. 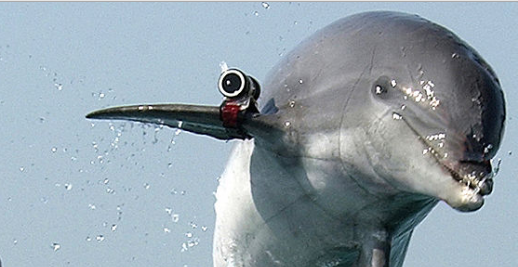 Lifenews: Ukraine was actually hoping to shoot down Vladimir Putin's plane. - 18.07.2014. Lifenews: For unknown reasons, Ukrainians ordered the plane to get lower just before the catastrophe. - 18.07.2014. Russkaya Vesna: "Rebel" leader Strelkov-Girkin says that local eyewitnesses confirmed to him that some of the dead bodies look "unfresh", i.e. that the plane might have been full of corpses already when it took off in Amsterdam. - 19.07.2014. News2.ru: The crash of MH17 was just a show, in fact it was the Boeing from the flight MH370 (that had been lost in March 2014 in Asia) that crashed over the Donbas and this is why there are no relatives of the supposedly dead passengers. - 21.07.2014. The Russian Ministry of Defence presents radar imagery to show there was a Ukrainian jet close to MH17, plus that Ukraine moved BUK missiles closer to the "rebel" territory. - 26.09.2016. The Russian Ministry of Defence presents new radar imagery, which is incompatible with the one released in July 2014, as Bellingcat demonstrates. It no longer talks about a plane near the MH17 plane nor about a significant change of course just before the downing of the plane. Given the number of contradicting stories, we cannot be sure we presented you a complete overview of all versions advanced by pro-Kremlin media. For more conspiracy theories proposed by pro-Kremlin media, see this blog post. 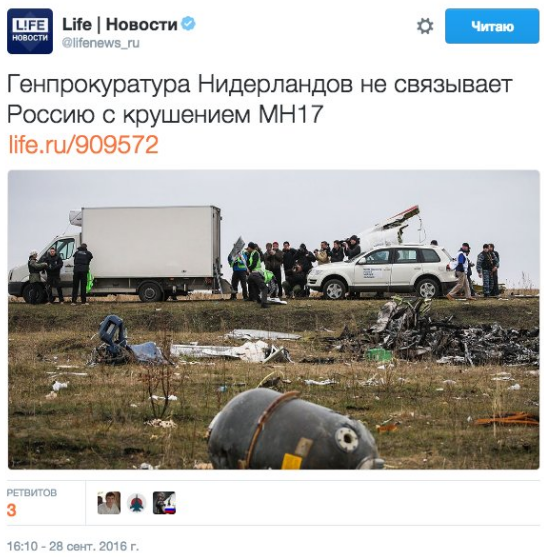 Let's not forget that the disinformation around MH17 definitely achieved its goal in Russia. In a Levada poll following the tragedy, 82% of Russians said that the Ukrainian army is in some way responsible for the crash. Those investigating the facts about the downing, in particular Bellingcat, have been vilified by disinformation from pro-Kremlin outlets, as Ben Nimmo notes. Anecdotal evidence from the JIT press conference on Wednesday throws light on the working conditions of pro-Kremlin media. Journalist Pavel Kanygin from the independent outlet Novaya Gazeta relates on Facebook: A reporter from pro-Kremlin TV Pervy Kanal asked a question in the JIT presser and then sighed towards his colleague: "So what shall we do? If only they would call me and tell how to deal with all this, what ideology to choose." Last week, a scandal has unraveled in the heart of Swedish political power, as Swedish media report. At the core is a man who has been employed at the party secretariat for the Swedish Democrats in the parliament since February. This party is profiling itself with its anti-immigration stance and euro-skepticism and has close ties to similar parties in Europe. The same man has also gone by at least five different names, since he came to Sweden from Russia in 2007. In this text we will call him Mr Putilov, which is one of the names he uses. He has used these different aliases when working for the Swedish Migration board, applying for a job at the Swedish Civil Contingencies Agency and attending training at the Swedish Radio, from which he was kicked out for not being able to prove his identity. Furthermore, Mr Putilov has written opinion pieces in several Swedish newspapers under different names. 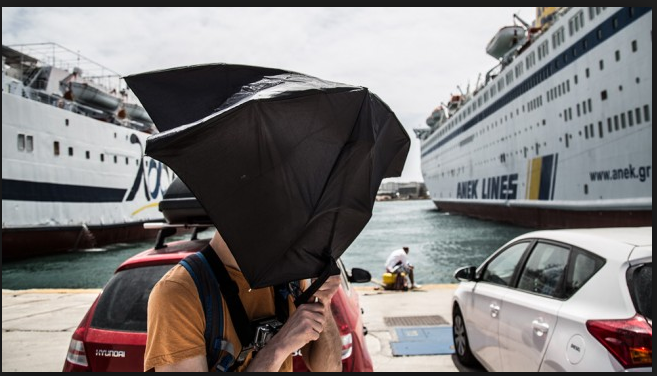 The pieces have mainly been about migration, but with diametrically opposed views – some being anti-immigration and other radically pro-immigration, posing as a volunteer at Refugees Welcomed - though that organisation had never heard of him. By essentially debating with himself under different aliases (a well-known troll tactic), he has fueled the already heated debate on immigration in Sweden. In 2014, Mr Putilov bought a house in Stockholm from a convicted Russian businessman, who was married to a senior figure in the Russian tax authority in St Petersburg. Curiously, Mr Putilov bought the house for 6 million SEK and went on to sell it a week later for 12 million SEK. Experts see this as an indication of dependency on people with government ties in Russia as well as on a convicted criminal. Swedish media have reported concerns that Mr Putilov's access to the parliament posed a major security concern. At first, the Swedish Democrats party dismissed the issue, but after demands for accountability from several politicians, among them Sweden's Minister of Defence, Mr Putilov has now resigned. He blames the scandal on "russophobia" and has likened Sweden to repressive societies and Stalinist times. This scandal comes after the Digest reported that several security services in Europe have warned of the threat of Russian disinformation activities. While Russian government-owned news site Sputnik has closed its Swedish-language operations, this case illustrates alternative tactics for influencing public debates. These are in line with the Russian military doctrine, which talks about "exploiting the protest potential of the population". Using false identities, Mr Putilov sought to inflame tensions around the migration issue, a divisive question. He worked for an anti-EU party, which Russian media say are partners for Moscow. When he resigned because of a suspicious deal, he blamed "russophobia", another well-known tactic. To find out more about links between Russia and political parties in Europe, read The Economist's article. This Tuesday saw yet another attack on independent Russian journalism; and this time it was physical. Grigory Pasko, head of the NGO Independent Journalism Support Foundation, was beaten up in western Siberia, where he had come to conduct a professional seminar for journalists. Interviewed by Radio Liberty, Mr. Pasko characterized the attack and the attackers as carrying “indubitable KGB signature”. HOW DID INDEPENDENT VOICES REACT? A petition that was spread and signed via social media said: "We believe that the continued campaign of unbridled defamation of anyone who does not agree with the political course of the current Russian government and the exclusion of dissenters from protection of the law for propaganda purposes inevitably will push the country into the abyss of a new totalitarian “order”, which in our time can result in nothing but innumerable victims and put an insurmountable barrier to any prosperous future of our country." HOW DID GOVERNMENT-CONTROLLED MEDIA REACT? The incident was covered on Rossiya 24 nine-o'clock news, one of Russia’s most watched news broadcasts, famous for spreading disinformation. According to the presenters, Mr. Pasko “CLAIMS that he was attacked” and “CLAIMS TO BE AN INVESTIGATIVE JOURNALIST” Also, locals “SUSPECTED that his aim was not only to educate, and THEIR SUSPICION WASN’T UNFOUNDED”. Claims about “FUNDING FROM OVERSEAS” are attached to Mr. Pasko, and the keyword “FOREIGN AGENT” appears many times. A local pro-Kremlin journalist is interviewed, claiming that Mr. Pasko probably made up the story about the attack altogether. Rossiya 24 concludes by telling that Mr. Pasko didn’t see a doctor after reporting to the police, so “THE VICTIM’S CONDITION MUST BE CHARACTERISED AS SATISFACTORY”, the presenter says with an unconcealed smirk. Mr. Pasko says he did in fact see a doctor. DISCLAIMER: The Disinformation Digest is based on the analysis of the EU East StratCom Task Force; opinions and judgements expressed do not represent official EU positions. Copyright © 30/09/2016 European External Action Service. All rights reserved.